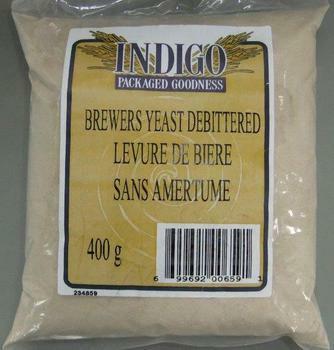 Indigo Natural Foods is recalling Indigo Packaged Goodness brand Brewers Yeast Debittered. Customers who purchased the recalled product and have an allergy to peanuts should not consume it, but discard it or return it to the store where purchased. Consumers with questions may contact Indigo Natural Foods at (416) 752-1999 or by email at order@indigofoodsinc.com.